The master of business administration (MBA) program features a cross-functional, instructive, and hands-on application to business learning. Students benefit from a multifaceted degree that places emphasis on all aspects of business operations related to the core disciplines. Courses are taught from a variety of perspectives – political, ethical, and organizational – while keeping in mind the ever changing demands of the global marketplace. Our thematic approach to MBA study focuses on four key areas: top-down management perspective, leadership, strategic decision making, and career preparedness skills. The curriculum also emphasizes business acumen development through soft skill integration, group learning, case studies, and a learning experience capstone course. The lower core MBA courses are designed to provide exposure to the fundamental competencies of business from a manager’s perspective. The six courses cover areas related to finance, management, accounting, economics, statistics, and marketing. The upper core courses offer a cutting edge and relevant curriculum that covers a broad spectrum related to strategic thinking and decision making in the global marketplace. Each of the six areas of concentration within the MBA provides for a unique hand-picked blend of courses designed to prepare students for advanced career prospects and certifications. The program’s rigorous coursework requires a familiarity with requisite quantitative and technological concepts. Upon enrollment in the MBA, students are encouraged to meet with their academic advisor to discuss course layout and familiarize themselves with the academic content. The MBA program in the Cotsakos College of Business maintains accreditation from AACSB International—The Association to Advance Collegiate Schools of Business. 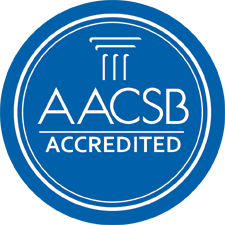 AACSB accreditation represents the highest standard of achievement for business schools worldwide. 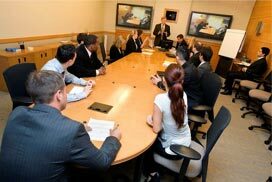 Only about 5 percent of business schools in the world are recognized as accredited by the AACSB. One of the unique features of this acreditation is that it is an opt-in accreditation that allows qualified colleges of business to maintain and exceed standards of academic excellence.